The good news: I have a Finished Object this week! The bad news: I can't show it to you yet. This isn't my usual type of yarn as I'm not a fan of acrylic, but I love the colours and having used it before, I can report that it washes and tumble dries beautifully so I thought it would be perfect for a little (low-maintenance) gift for someone. Hopefully it will have been delivered next week and will be able to show you, because I'm quite fond of it (and have a few requests to make more!). 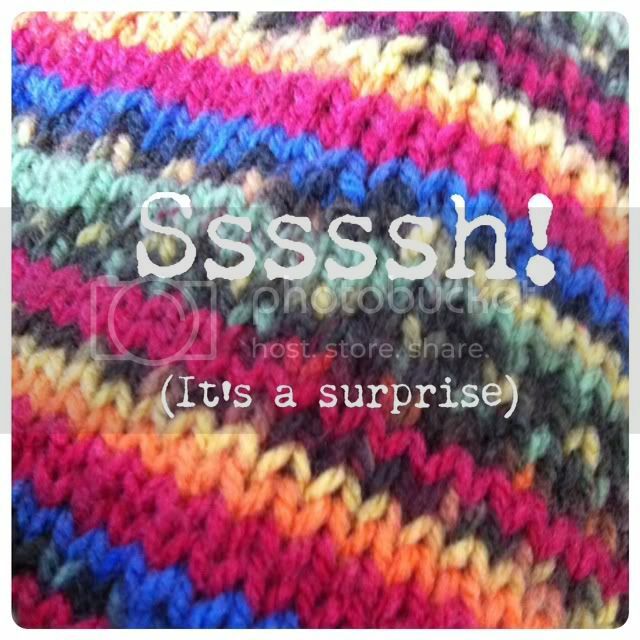 In the meantime, here is a little photo collage of the Stripe Study Shawl Knitalong photos already posted on Instagram. If you're joining in and would like to add your pictures to the Instagram gallery, just tag them with #sssknitalong. If you're feeling inspired to join us, you can find all the details here. You can find more finished objects and inspiration at FO Friday and Creative Friday. Love the collage - it's so cool seeing everyone else's versions of the shawl - although it does make me want to cast on more! Me too - my new yarn arrived today - I'm thinking about casting it on over the weekend as well, you know, just to see how the new colours look! STOP tempting me Ms.Cwtch! I have enough UFO's as it is ! They really are never ending! I'm also thinking of casting on another quick project alongside! wow yummy colors and awesome projects you have done. Don't apologize for acrylic - there really is something to be said for easy care. And look at those fabulous colours! I can't wait to see what it is! The KAL pictures look great - how fun! I'm looking forward to learning more about your secret project! Oh I like the colors in the secret project. The pictures from Instagram are so exciting. Its great to see everyone's color choices. Nice stripes in your secret project. Acrylic really does have it's place, and those colours are brilliant. I'm looking forward to seeing what it is. Everybody's shawls look lovely. The shawl is looking great. I can't wait to see the item you've finished. Oh my, this project is coming along nicely! It starts to appeal very much to me now...but I'll resist :p.